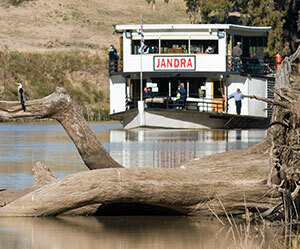 The Darling River is the lifeblood of Outback NSW. Only 15% of the Darling’s water comes from within the Western Catchment. It belongs to a complex system with highly variable flows which are affected by actions upstream. 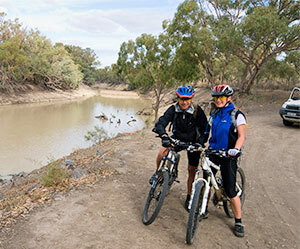 To learn more during your Darling River Run experience, watch out for Western CMA educational signs at Wilcannia, Tilpa, Louth, Bourke, Brewarrina, and Lightning Ridge. 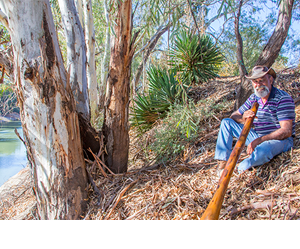 Visit www.western.cma.nsw.gov.au for information about the Western CMA’s work in the 230,000 km2 Western Catchment, including management of land and native vegetation, other river systems, biodiversity and our cultural heritage. Fishways (or fish-ladders) provide passage for fish normally stranded at the base of a weir. Fishways allow them to move along rivers to feed and breed, resulting in increased native fish numbers. The Western Catchment Management Authority (CMA) is supporting the installation of fishways at the Brewarrina and Bourke weirs. Salinity is not a new phenomenon. Naturally underground flows of salty water enter the Darling at several points including the one where Sturt attempted to water his horses in 1829. 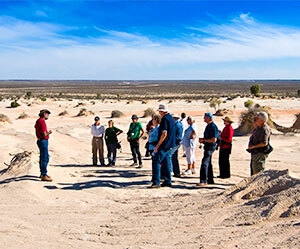 Salinity is bieng managed by protecting and rehabilitating waterways and native vegetation, changes in land and water management and engineering works. Floodplains operate in large flood wevents where the river breaks out of its banks. Due to the flat nature of the Western Catchment, floodwaters can slowly spread for tens of kilometres across the landscape, rejuvenating the plant and animal life of the area and enabling fish breeding to occur. Snags are the inland equivalent of marine reefs. Trees and branches that have fallen into the river habitat, feeding and spawing sites and shaded resting areas. The Western CMA has re-introduced snags to encourage native fish numbers, replacing the snags removed during the days of the paddle steamers. One species is the iconic Red-tailed Black Cockatoo (Calyptorhynchus banksii), which is listed as a vulnerable species. They nest in the hollows of mature River Red Gums (Eucalyptus camaldulensis) along the Darling. The Western CMA assists in protecting and re-establishing riverbank vegetation, some of which will become homes for future generations of these magnificent birds.